A Honduran beauty queen who went missing just days before she was to participate in the Miss World pageant was found dead Wednesday, along with her sister, police said. A patrolman from the Honduras National Criminal Investigations Office told CNN about the deaths of María José Alvarado Muñoz and her sister, Sofia Trinidad. Honduras National Police Chief Ramon Sabillon told CNN affiliate Televicentro that there is a 95% certainty that the bodies found Wednesday are those of the two women. Alvarado went missing last Thursday, police in the Central American country said Sunday. Her family had reported the disappearance of Alvarado and her sister on Saturday. 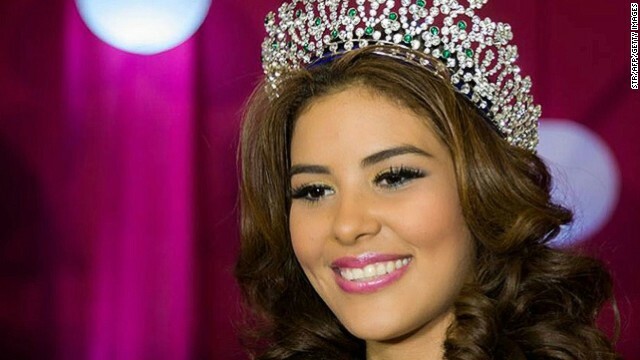 Eduardo Zablah, director of the pageant in Honduras, told CNN affiliate Televicentro that Alvarado and her sister were last seen getting into a vehicle after attending a party last week. The young woman was to be among the contestants from more than 120 countries who arrive in London this week for early rounds of the Miss World pageant. The final round is scheduled for December 14. The 19-year-old student from Santa Bárbara, Honduras, beat 18 contestants to win the Miss World Honduras crown in April. In her profile on the pageant's website, Alvarado described herself as "dedicated" and said she would someday like to go into government, specifically as a diplomat for her country. She also said that she liked playing volleyball and soccer, eating Honduran food and performing the country's traditional punta dance. Julia Morley, the chairman of the Miss World pageant, said contestants will hold a special service Sunday to honor Alvarado and her sister and offer prayers for their families. "We are devastated by this terrible loss of two young women, who were so full of life," Morley said.